Language is a powerful tool, but to wield it effectively, you must have full command of it. In the BASIS.ed network of schools, we take best practices from schools all around the world and apply those practices to our curriculum. One of the best practices we have found is a deep dive into Humanities subjects. According to information shared at a recent PISA4U event, there are things that all schools who perform well on the OECD's PISA test for schools have in common, including "high cognitive challenge of the traditional disciplines is [sic] complemented by structures that allow students to participate actively in learning as discovery/invention/problem-solving. Schools use data to drive experimentation and to assess what works, and learn from good practices around the world, crossing borders and cultures to do so." But why are the subjects of English and Humanities so important, and how do they relate to these recognized indicators of success? 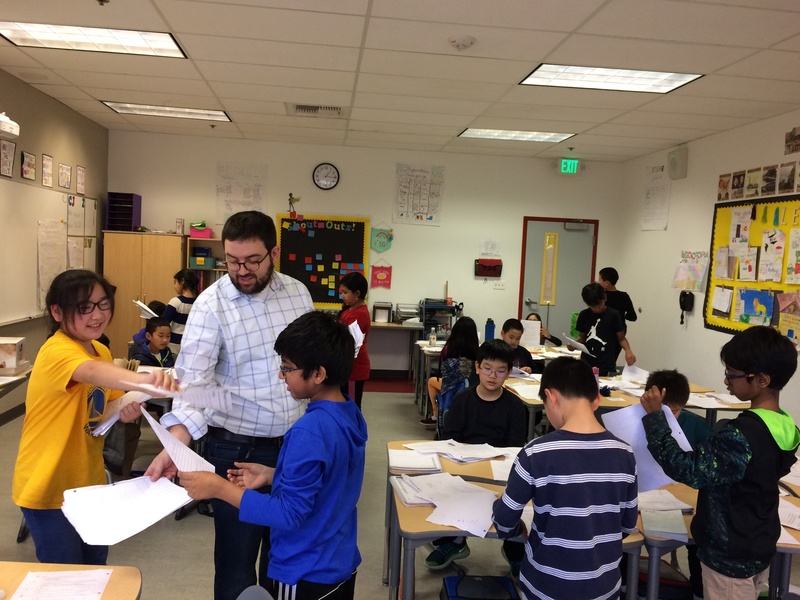 "They're essential for learning," says Mr. Betcher, who teaches both subjects at BASIS Independent Fremont. "We have the space to teach children to think deeply. In English, we are able to sit down and ask questions that don't have answers, and think about how to answer those questions for themselves. For example, what does it mean to be moral, to be a good person? They can think about what they are learning and how it connects to the world they're in." "These subjects are foundational for everything we need as adults," says Ms. Wagner, Humanities teacher. "In order to learn anything else, students have to be able to read and write. This is one of the most important things they can cover in school. Language is everything." Humanities, taught to grades 1-4 at BASIS Independent Fremont, is a combination of English language arts and social studies. As students are learning to elevate their reading levels, they are also able to read more complex materials. 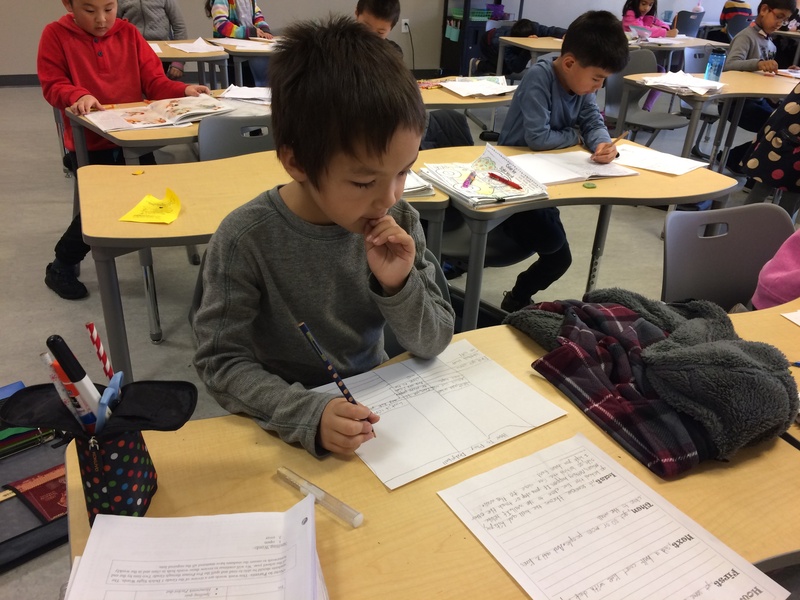 Social studies provides a variety of opportunities for reading comprehension skills to be honed, and to give context to what students are learning about reading. Reading is best learned by doing. 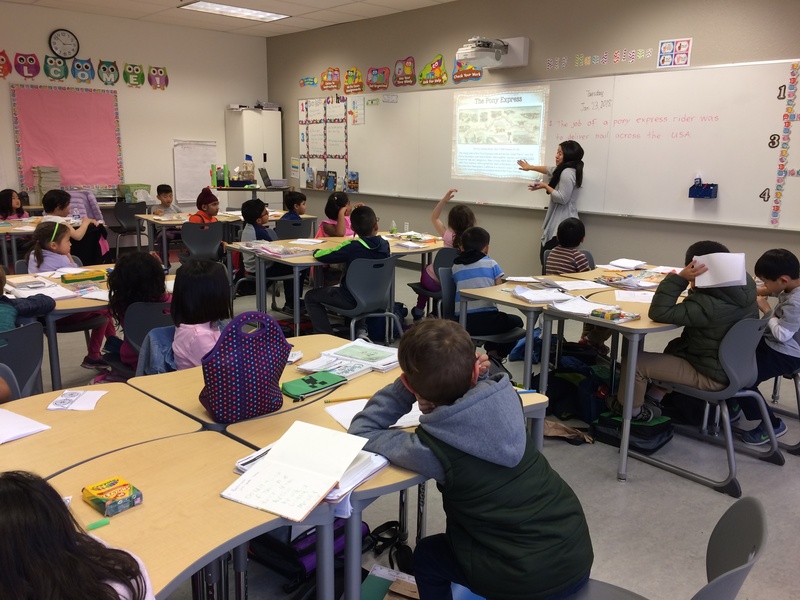 In a recent first grade Humanities class, Ms. Wagner prompted students to take turns reading from their textbook about a mountain village in China. Between passages, she paused to ask questions about what the class just read to make sure everyone was understanding the material. "What would they build a new school with, in this mountain community?" she asked, after a paragraph about a new school structure. "Bricks from broken houses?" wondered another. Instead of giving students the answer right away, Ms. Wagner asked further questions to draw out their critical thinking and challenge their inference skills. "If they are living on a mountain, what materials could they use that are already there?" she asked. To wrap up the lesson, students discussed what the main idea of the passage had been, and how they came to that conclusion. In second grade Humanities, Ms. Villanueva was teaching a lesson about the Pony Express. Using the Pony Express, news of President Lincoln's election took only five days to reach California, a new record at the time. "How do you find out the news today?" she asked the class. "Well, back then, those were not options. You had to wait to learn the news, because it wasn't as convenient as it is today." The class was shocked that it could take so long to find out a piece of important information like the result of a presidential election! "Humanities is special because we have a wide range of topics to cover throughout the school year," said Ms. Villanueva about her subject. "I love that I can teach reading, writing, social studies, and geography each week. We recently learned about the fifty states in geography before studying the Westward Expansion, so students could be more familiar about where pioneers traveled for our history unit." Ms. Villanueva also teaches sixth grade English. "My goal for this class is for my students to learn how to discuss literature through analysis and Socratic seminars. 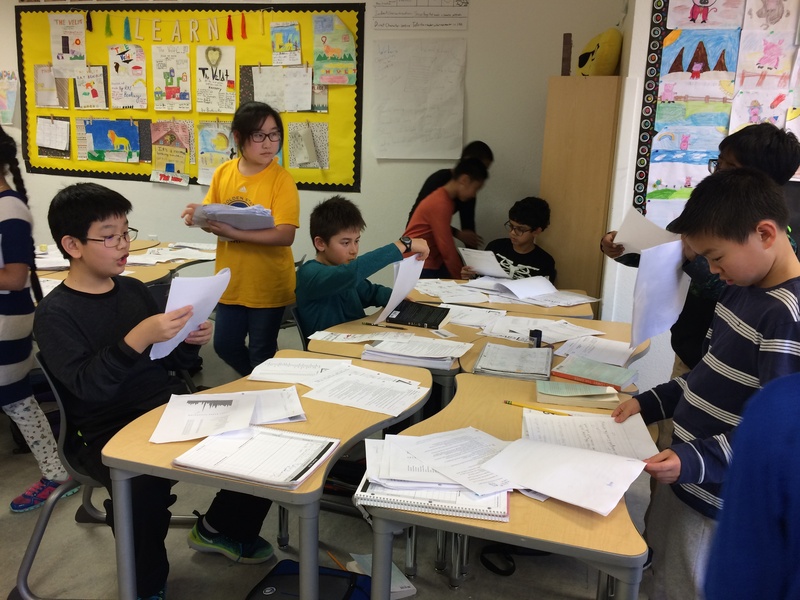 Each grading period, we write an end of novel essay and have 1-2 days a week dedicated to sharing our opinions and interpretations of our readings. Although English primarily focuses on becoming a stronger writer, I think it is equally as important to learn how to communicate respectfully amongst peers." In fourth grade Humanities, Mr. Betcher has been teaching about the Middle Ages and the Crusades. Students have also been reading The Tale of Despereaux. "These kids are interested in looking at big world events and starting to engage in that same moral conversation. What does it mean to be brave, or different? What are the rules you should follow and what are ones you should question?" he said. "Kids can do more than we give them credit for. They're able to engage in these conversations I didn't get to start until I was older. Students have opinions at these ages that they believe in, though they might not know why, so we can have a conversation about it in these classes." Mr. Betcher also teaches fifth grade English, where students are talking about themes of the stories they read. They are excited to ask each other "What If" questions and challenge one another. They are reading The Giver, a sharp dystopian novel that provides ample opportunities for these conversations and for learning about themes and patterns in literature. 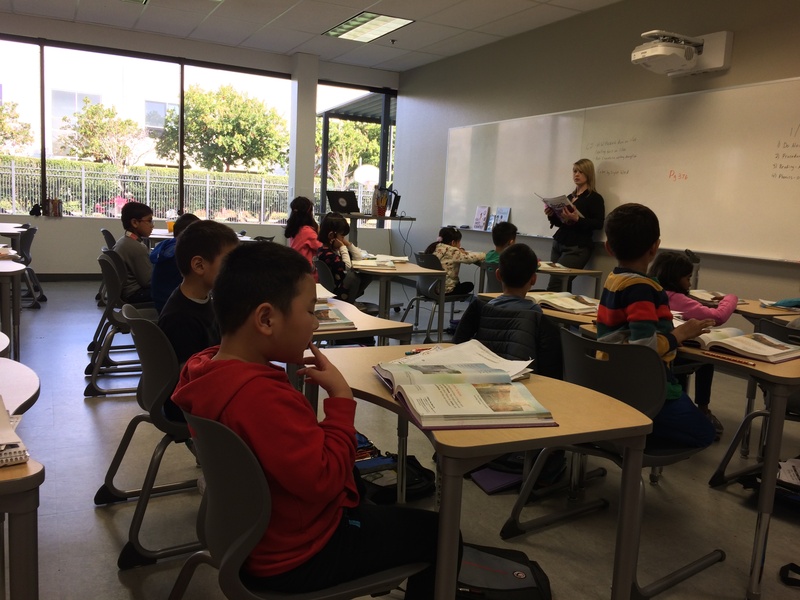 Humanities and English at BASIS Independent Fremont give our students the skills they need to successfully tackle every other subject taught at our school, and the skills they'll need to succeed the rest of their lives!